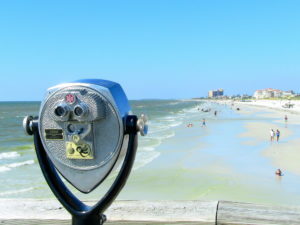 Clearwater Beach Florida – Just the name Clearwater Beach conjures up all sorts of wonderful feelings of comfort and relaxation, fun in the sun and fabulous eats for every palate. This glorious slice of paradise is peacefully nestled along Florida’s western central coast, settled on the Gulf of Mexico. Renowned for it’s sugary white sands, Clearwater Beach Florida covers a three mile span and is complimented by a vibrant Marina on it’s intracoastal waterway side. When folks ask “What is Clearwater Beach like?”, the answers are plentiful, lets take a look at 10 things to love about Clearwater Beach Florida. Clearwater Beach is a coastal delight, with an average temperature of 83°, the weather is almost always perfect for a day out in the sun. The beach stretches out an exquisite 2.5 miles, voted Florida’s Best Beach Town by USA Today and honored as Travelers Choice “2014” Winner by Trip Advisor, it’s no wonder that so many visitors end up settling down, or investing in second homes here in our treasured nautical community by the sea. The sand is extraordinarily white and invitingly soft and gentle, with stunning, clear blue water and plenty of space to lay out in comfort and style. Vistor’s can join in a fun game of volleyball, go for a refreshing swim or hang back and relax in a Cabana. For your convenience, you can even rent an Umbrella or enjoy a variety of Concessions nearby. The beach offers Showers, Restrooms and there is plenty of dining a stones throw away, to fill your tummy with all sorts of goodness. In addition to the wonderful and relaxing beach, there is also a plethora of engaging and fun activities to take part in. With a variety of Water Sports to be enjoyed, we’re not surprised to see day-trippers flocking in all week long. From and adrenaline inducing speed boat ride, to a high-flying para-sailing trip, and jetski’s to wave-runners, laughter and fun are just around the corner. Take a scuba-diving lesson or enjoy a snorkeling adventure, there truly is a splash of enjoyment for everyone. On the cusp of Gulfview Blvd, lays an elegantly designed Beach Walk, lined with fantastic palm trees along the path and spectacular scenic views. The sunsets are overwhelmingly beautiful and picturesque. A stroll is perfect at any hour of the day, you might find seashells, catch a Dolphin, Manatee’s, Pelicans and other lovely birds. The Beach Walk is simply amazing, with eateries, shops and terrific encounters with turtles, what’s not to love? You can walk, run, roller-blade or bike on the path and feel the magnificent sun or a cool breeze on your skin depending on the hour of your indulgence. At night the Beach Walk sign lights up making it a perfect photo op. The Beach Walk compliments Clearwater Beach in every way, shape and form. With overwhelmingly beautiful and breathtaking views of the Gulf cost, Pier 60 has by far the most idyllic vantage point. Pier 60 offers daily festivals with an abundance of activities, from Artisans to Crafters,and Street Performers, to Nightly Musical Entertainment. There is sure to be something for everyone on the pier. To add to the festivities is the Sunset Cinema, which plays weekly movies, you’ll find a playground for the kids, Fishing, Boat Tours, and Food and Beverage Concessions. The Pier is conveniently Wheelchair and Disabled accessible and is equipped with bathrooms. Pier 60 also has an online presence to keep you apprised of all of the available events at Sunsets At Pier 60 Daily Festival. Pier 60 offers a jam packed calendar to keep you busy all year long. Fishing is in unlimited supply in Clearwater Beach, starting with the Pier 60 Fishing that I mentioned above. You can find rentals for fishing gear, a recreational park with a bait house, as well as telescopes in addition to six covered pavilions. The Pier 60 Bait House offers a wide range of fishing tackle, as well as t-shirts and souvenirs. That’s not all, you’ll find drinks and snacks as well as a friendly staff to help you with rental equipment, and any other help that you may need. You can regularly catch Spanish Mackerel, Silver and Spotted Trout, Red-fish, Snook and Tarpon. If you’re lucky you might even snag a few Sheepsheads, Snappers, Flounders or Jacks, among other great finds. Best of all, the convenient lighting is great for night fishing. No license is necessary and you can keep all of your catch, it doesn’t get any better than this. For more Five Star Rated fishing, you can head over to the Gulf Stream Fishing Charter, Dos Amigo Fishing Charter, The Bait house and dozens of other high quality rated Charters for Deep Sea Fishing and Diving. If heading out on a Charter is not your thing, not to worry, you can grab any old rod and head over to the shore line for some relaxed wading along the shoreline. Bring a bucket and get ready to to walk through lush shallow grass beds for some fabulous shrimp finds. Cast as you go and you can catch everything from Flounder to Snook. Snag a tide chart and some old shoes and you’re good to go. Clearwater Beach is a sports lover’s paradise, with events like Triathlons, Speed Boat Races, Beach Volleyball and so much more. One great feature is the Bright House Field, host of spring training for the World Champion Philadelphia Phillie’s, Major League Baseball Team, with the added benefit of home games, great events for families and friends. The awesome sight of the Super Boat International Power Boat Race takes place in Clearwater Beach, as well as off of Pier 60, and the fantastic Outback Bowl is a ton of fun, their annual Beach Celebration is outfitted with cheerleaders and a marching band to boot. Clearwater boasts The Big East/Big Ten Baseball Challenge where junior college teams, along with Division II Tournaments are a lead up to the Division I’s play, that comes up in February at local stadiums. Not to be underscored, is the the Big East Championship Conference, where 8 baseball teams compete at the Bright House Field for a chance to bid for the NCAA Championship. With some of the worlds most distinctive Golf Courses, PGA and LPG events at Innisbrook Resort’s golf courses are plentiful. Other great events like the USF Bulls Tournament Softball Series take place around February and March, where the series plays out at Clearwater’s Eddie C. Moore Complex, which features the largest NCAA Softball Tournament in the nation. In addition to numerous other sports events throughout the year, residents can play locally at Basketball Courts, Golf Courses, Raquetball and Tennis Courts. Clearwater Beach is a mecca of shopping for all of your retail needs, from mini-malls to beach-side shopping, from specialty stores to name brands, you’re sure to find what you’re looking for. Head on down to Shoppes and Sand Key for over 20 stores, or stop over at the Westfield Countryside Shopping Centre for big names like Macy’s and JC Penny’s. A quick trip to the International Plaza is another great spot for your retail therapy needs, and they have plenty of dining when you need to refuel. There are extraordinary shopping destinations all around Clearwater Beach for clothing and art, as well as home furnishings and much more just waiting to be discovered. Sure, there is an unlimited supply of seafood in Clearwater Beach, Florida and the wide range of seafood restaurants offer an abundant supply of delicious eats. From Frenchey’s Salt Water Cafe with it’s famous Grouper Reuben Sandwich, to the Salt Rock Grill’s delectable menu. But that’s not all, the cuisine in Clearwater is as diverse as it’s residents who hale from all over the globe. From Beach-side Cafe’s to, Grills, Pubs and 5 Star dining establishments, there is something for every taste and palate. 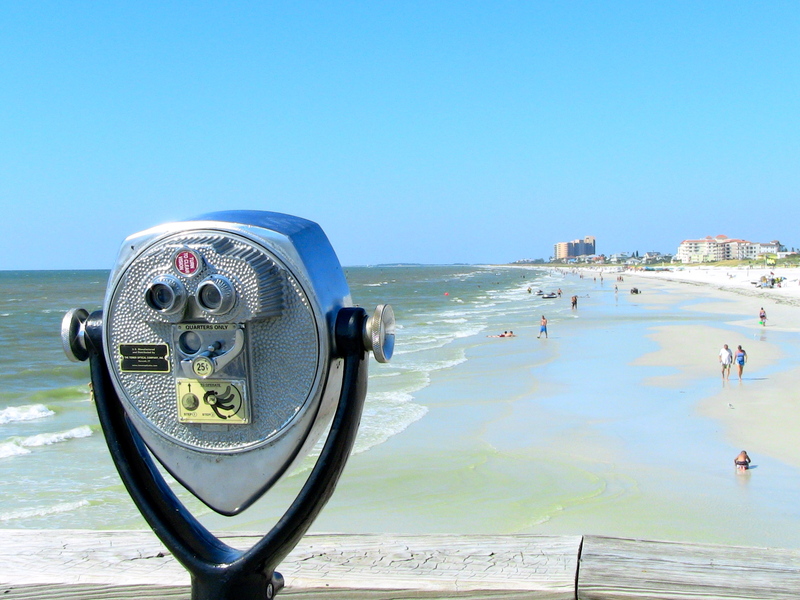 Be it Gourmet or family friendly dining, you’ll find it in Clearwater Beach Florida. Sure you might have bumped into a famous person, but none like this one. Winter, the Dolphin that captivated the worlds heart in the movies Dolphin Tale and Dolphin Tale 2, calls the Clearwater Marine Aquarium home. It was here in the Aquarium that the world first set eyes on Winter, the Dolphin without a tale and thus, the Clearwater Marine Aquarium was the real-life inspiration for both Warner Bro’s films. This Aquarium is not like any other Aquarium, not at all, CMA is a Hospital, that is both a Rescue and Rehabilitation Center. Once the animals are rescued, rehabbed and healed, they get released back into their natural habitats. The team at CMA does heart warming work and it shows. While the Clearwater Marine Aquarium does serious work, there is also room for family fun. With a variety of activities from education to daily presentations, and animal feedings to photo ops with Dolphins, there is much enjoyment to be had. You can take in the Dolphin Tale 2 movie in at the Brighthouse Theatre, or head out for some fun on the water. There are boat and kayaking tours, as well as a live Hurricane Exhibit that feels just like the real thing. This is definitely a must see for both visitors and residents. Last, but definitely not least on my list, is the Clearwater Beach Community, folks from all walks of life relocate to Clearwater Beach Florida and never look back, those looking for the perfect work and life balance couldn’t be happier to call this gem home. You’ll encounter people from all over the world, mesmerized by what the Travel Channel awarded as The Best Family Beach, there’s no place like home, and there’s no place like Clearwater Beach. The Economy is strong, the climate is amazing, business is booming and life is grand. So if you’re wondering what Clearwater Beach Florida is like, it’s both a heaven and a haven for families looking to lay down roots in their own piece of paradise. The community is overflowing with beautiful homes, outdoor activities, amusement parks, and local attractions and theme parks. The palm-lined boulevards are gorgeous and restaurants and shopping are plentiful. It’s a perfect blend of Resort and Residential, with great business potential and growth Clearwater Beach Florida is the perfect location to cultivate a happy and healthy lifestyle for all ages. So if you want to know what the fuss is really all about, spend a day in our beautiful beach town and explore the sights, sounds and flavors for yourself and the next thing you’ll be asking is “How can I own by own Clearwater Beach Condo or home?”.